Rob was commissioned to complete this piece for the “Hearts A Bluhm” public art project through Columbia College and Northwestern Memorial Hospital. 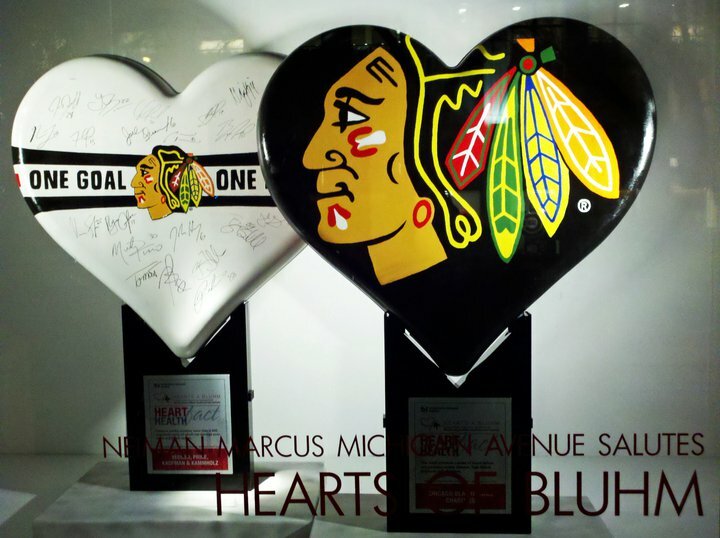 The image shows the finished work with the signatures of the 2011 Chicago Blackhawks as it was displayed on Michigan Avenue in the Nieman Marcus storefront. The piece was sold for a $20,000 donation for the event. Rob’s piece is the heart featured on the left.